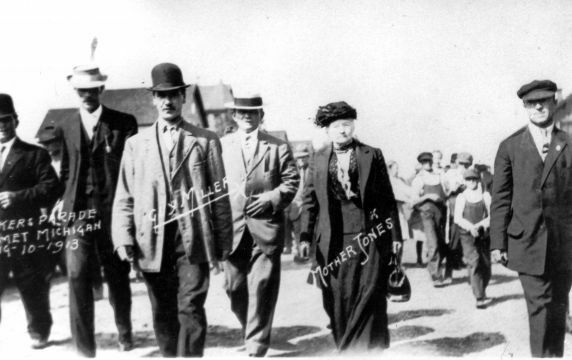 Mother Jones joins Calumet miners and their supporters during a strike parade. At her left is "G. Miller."